In this short paper will present ideas taken from some recent crossings between philosophy of causation, philosophy of time and speculative physics[G1] (especially Albert 2000, Loewer 2007, Frisch 2007, Kutasch 2007) investigating on a way to reconcile counterfactual asymmetry and thermodynamic asymmetric features such as entropy. I will consider those proposals from their theoretical point of view and then present criticism taken from the authors above and some personal thoughts. Setting up the ground from the following discussion, I will assume that causality is indeed a fact of the world[G2] , and by that, I do not intend to define it as neither a fact of our internal world nor a sole physical fact. I will simply accept physicalism in a form that allow either a global form of supervenience or at least emergence of causality over the mundane properties of the physical world. Therefore, I will consider eliminativist of deflationist (Hempel & Oppenhein 1948, Russel) approaches and strictly reductionist one (Aronson 1978, Fair 1979) as negligible for the discussion below. The same goes for those accounts that tend to confine the entire range of causal phenomena only to our “manifest image of the world” linking that to our “agency” faculty (Menzies & Price 1993) or to an effective manipulation of “production” (Bunzl). Starting from this premises, what I will then consider really meaningful are those cases that suggest a link between a manifest image of the world and its scientific counterpart, neither avoiding a complete phenomenic description nor[G3] a satisfactory physical one. I will set the largest part of the traditional topics aside, like the “spurious cause problem” and the “causal relata” problem, and I will concentrate this work on the analysis of time asymmetries typical of the causal relation and the possibility of a feasible connection with similar, yet maybe only ingenuously similar, asymmetries traceable in the core laws of thermodynamics. The thermodynamic framework will be provided by David Albert and its past-hypothesis theory (Albert 2000) and the starting point of the philosophical discussion will start from the Lewis analysis about time, counterfactual and causal asymmetries (Lewis 1979) and the arguments raised against his view (Pizzi). Still considering asymmetry, further specification are needed. Those problems arising from hypothetical cases of self-causation , transitivity of causation and more will not be seriously faced in this paper and hence our main topic will be the “arrow of causation” and the “arrow of time”, considering valuable only genuine cases of backward causation and backtracking counterfactual dependence, this one mainly used as a crucial test for the proposed theories. In the next paragraph I will set up our starting ground explaining why we need boundaries to justify a causal specific direction, and how the past-hypothesis came to be the boundary we are searching for. The relation, that bonds a cause with its effect, seems to as asymmetrical per se, it seems to be intimately related to the flow of events and, hence, to the flow of time[G4] . However translating our “sensations” to a more formal ground always faced philosophers, and scientist as well, to face stubborn problems. Trying to overcome this theoretical distress historically led towards two different choices until now: refusing physical asymmetry of time and accepting asymmetry of time trying to define causality by means of linguistic analysis or, else, presuming a kind of phenomenic priority[G5] . The first alternative is represented by Transference Theories (TT) of causation (Aronson 1971, Fair 1979) and by Conserved Quantity (CQ) theories (Dowe 1992). As a matter of fact appealing to transference of energy or to a selected quantity conserved quantity over an interaction always recall to T-symmetric laws and heuristics, so it’s theoretically possible that every causal interaction that those kin of theories may able to depict may be reversed simply by switching the directions, hence the velocities, of the laws at hand. Taking as a model the evergreen billiard balls case, the approaches above will describe a collision between two balls on a plain surface as perfectly reversible, every direction is switchable by reverting velocities and this is plausible only until we remain inside a purely dynamical framework, outside of it direction matters and we can see that if we refer to a more complex example. Suppose now that the impact just reported is only a part of a much bigger event, the first impact moved the second ball, but then this ball fell from the billiard table to the ground thanks of the force conveyed by the original impact. Let’s presume now that we were filming the whole process and that now we’re watching this movie backwards: the ball will arise from the ground, climb up the table and finally accelerate until it collides with the first ball. Well, this is the kind of oddities that arise from TT and CQ theories, those issues simply arise despite having a internally coherent criterion to evaluate causation and casual processes. On the theoretical opposite side, leaving alone pure phenomenological and agency accounts, analytical approaches focused themselves on giving a formal review of causal asymmetry that starts from the theory itself. Among the various approaches that came from the hive of philosophy of causation, Lewis’s counterfactual theory of causation has surely been one of the most influential or at least the most controversial and provocative. So, given Lewis analysis about causation, what is interesting to note for us is the refusal of the “temporal cause priority over effect” criterion. Therefore retro-causation constitutes a genuine research topic inside of Lewis’s account and this “hole” in the fundamental part of the theory led to some productive criticism. The first consequence of this choice is that retro-causation needs to be embedded inside the main counterfactual interpretation of causality leading to a form of counterfactual dependence that tracks the effect of a cause not in the future but in the past and hence reversing the causal relation[G6] . Lewis notices that this kind of “backtracking” counterfactual are nearly always false, but examples proposed by philosophers such as Downing (1959) show how this not always applies. Lewis’s original position simply fails to provide a general tool to discriminate an entire class of backtracking counterfactual, neither counterlegal or absurd one[G7] . Lewis proposed a more complex and reasoned solution to solve problems as such: the “asymmetry of openness”. This last mainly introduces, among other principles, a sort of direct relation between asymmetry of time and asymmetry of counterfactual reasoning, maybe reminding a much stronger proposal advanced by Reichenbach, that should ground for past fixity and future openness following the common causal fork. (1956). However “asymmetry of openness” heavily relying on the criterion of Overall Similarity, that permeates Lewis’s metaphysics and theory of causation, needed a revision to accounts for both the possibility of retro-causation and our naïve sense of causal and time directedness. The theory has been then amended by building a hierarchy of asymmetries that entails correction to it and add some further considerations. Asymmetry of Miracles: whenever we consider a counterfactual situation among possible worlds we have to face the fact that “it takes a large miracle to create a convergence, hence a miracle posterior to the divergent point, whereas a small miracle in the past can suffice for divergence,”. Considering divergence between two possible worlds, or between two possible chain of events needs a much more risible event than a subsequent convergence, and that comes because re-convergence comes at the cost of erasing every “traces” left by the previous chain of events. Asymmetry of Overdetermination: an events accumulate more “post-determinants” over the future than it develop “pre-determinants “ in the past. The pre-determinants sufficient for an event A remains so even if the post-determinants of A keep growing over time and so the traces of an event are spread toward the future and not in the past. Replies such as those of Bennett (1984), Pollock (1981) and Pizzi (Ibidem) notice how, starting from a point that doesn’t practically pose a boundary, or alternatively accept a complete uncritical denial of backtracking dependence, Asymmetry of openness now poses too much of a boundary, restraining not only lawful counterfactual but also those counterfactual that needs to naturally backtracks due to determinism issues or nomic dependances. Moreover, fundamental constraints are embedded in the analytical approach itself, linguistic and logic analysis naturally focus their aim to one side of the of the supervenience relation, leaving the physical layer untouched or restrained to give only a suggestion about temporal direction of causal phenomena. Indeed Lewis himself confesses how Asymmetry of Openness may shares some ground with Asymmetry of Entropy and hence to fundamental thermodynamic phenomena. As we have already seen TT and CQ theories fail to render causal asymmetry because of the intrinsic T-symmetrical nature of the fundamental laws of Newtonian dynamics. In addition we have followed a really brief summary of the philosophical history so far, considering Lewis’s major approach about causality and some of the replies that highlight its weakness. So, a synthesis that aims to provide a full account of the entire supervenient spectrum needs to account for both physical plausibility and analytical/phenomenic coherence. Naively this kind of achievement may be reached recovering the needed boundaries from a physical source that improve the simple dynamical approach and, at a first glance, entropy seems to be just what are we searching for. Focusing then on the main Boltzmann formulation for statistical entropy, we will have to make two kind of regards, the first with the purpose to formally clarify statistical entropy itself and the second aiming to see if an application to the problems of asymmetry. The formula above describes Boltzmann entropy for an isolated gas of a numerous set of N particles in a box, where ΓM indicates the phase space occupied by the macrostate M and k stands for the Boltzmann constant. All of that relativized on a main set of coordinates X for the present macrostate M. Setting aside the formal duty, what’s really worth notice is that the main insight of Boltzmann suggest that the entropy of a system may be derived by statistically foreseeing the number of possible microstates available to particles in each Γ and compatible with the main macrostate M.
But here the main topic is the organization of Γ. As a matter of fact Γ is organized in such a way that at an increase of volume corresponds an increase of slots available and the system naturally tends toward thermodynamic equilibrium and hence toward an increase of entropy over time. The statement that follows from this analysis is clearly compatible with classical entropy formulation such as those of Clausius and Kelvin and indicates a “normal” direction of entropy increase and an hypothetical correlation with a specific direction of time[G8] . However this simple statement is not enough to improve our view about causality, simply because inserting entropy inside causal processes can’t go past the same criticisms moved against TT an CQ theories[G9] . Boltzmann entropy, taken as it is, simply suffers from reversibility objections similar to those raised against TT and CQ theories and that is clear even at an informal level: entropy is destined to increase over time, but that doesn’t advocates for a specific time direction and further consideration about past or future are human addition to the main prospective. 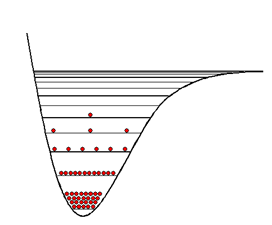 Every point of low entropy may then be a local minima surrounded by progressive increases of entropy that tend toward equilibrium in both directions, leaving asymmetry completely unsatisfied. Afterwards, Boltzmann’s Entropy still remains a probabilistic law and hence it describes every prediction made over increasing entropy at least extremely probable, but not certain. So, there is still room for an of “entropy inversion” to occur, maybe a with a nearly negligible probability but not negligible enough to call for a certain impossibility. iii) If the past-hypothesis is true, then there is no counterfactual dependence of the past on the present. Were OA stands for an event occurring given: a successive event occurring event B suggested by the trace T and the past-hypothesis PH. In other words: if an event B is a cause of an event A, then there are traces and records of B that, given PH, precede A and hence are in the past of A and not in its future. This is also the main reason because we have a past-hypothesis and not a future one. Let’s take as example an extreme case of causation recurring quite often in detective novels and movies, the perfect crime. Every perfect crime involve an event without any subsequent trace left, or, more specifically, an event that’s followed by another event that erase every traces and hence every records of it and of the main event. In these cases the trace boundary, here the main “causal handle” that permits to the counterfactual dependence to never backtrack beyond the genuine cause, ceases to exist and leave the ground for the counterfactual dependence to backtrack all the way up to the PH itself, simply returning to Bennett point against asymmetry of openness and revealing the “mild” determinism embedded in such theories. One the reply may point that entropy “always” increase over time and so that there are always traces and records to find[G11] . Indeed, the perfect crime case is more of a logical oddity than a physical one but it’s possible to find similar evidence in more formal realm. As a matter of fact Boltzmann and PH theories forecasts entropy as being continuously increasing over time, but there is no specification about the smallest time laps that has to be considered as relevant and about the evolution of entropy inside this small gap. 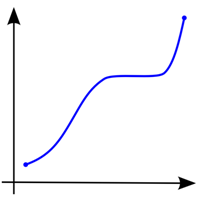 The cause event may be one of a set of local minima that compose an oscillating function that tends toward a constant increase only by average means, or it may instantiate a kind of monotonic function with two steep increase at the extreme and one even tract in its middle section, in this example entropy increase is still preserved but the middle portion of the function leave just the space for a “perfect crime” to be consumed[G12] . Moreover entropic fluctuations need time but also a certain value for space, hence volume for gases, to achieve a good balance between the macrostate and Γ, so a tout court application for token event causation or causation by particularly limited means still remains quite unclear. The past-hypothesis simply suffer of a anthropocentric fever. In the previous reply we have seen how it’s possible to suppose an event that leave no trace, but I think that is equally possible for us to evaluate causal process, counterfactual reasoning and other epistemic content without appealing to a PH. Following the point rose by Frisch: “it is clear that the role the past-hypothesis is meant to play in its solution is one in addition [sic!] to being a necessary condition for the possibility of records”. Every record that is stored in our memories is maybe already provided of a semantic content that doesn’t need for a further justification given by a main cosmological hypothesis. In addition the PH constitutes a constraint for pure physical causation that has to accept a time and space span that pretty typical of our cosmological knowledge of the universe and completely exclude massive causal processes such as that supposed by “cyclic models” for cosmology. Even considering PH theories by a cognitive prospective leads to problematic issues[G13] . It’s indeed not clear how s cognitive system may be able to elaborate information about entropy or, if entropy is to be considered as more of an epiphenomenon, the past-hypothesis is a byproduct of functional processes lying at levels well beyond that of basic thermodynamic features. As a conclusion, what comes to be evident is that PH theories aren’t up to the task of closing the supervenience gap for causal asymmetry over time. Introducing boundaries for both the physical side of the supervenient relation and the phenomenal part of it, led to a imbalance between the two element clearly favoring a too anthropocentric account for causation. The few oddities that I tried to sketch are mainly logical possibilities but I think that they are at least reasonable one and that they pose, especially the perfect crime case, some genuine criticism for the accounts presented in this paper and may provide cues for further research over this topic[G14] . Previous Post Language between Evolutionism and the Code Model. A criticalanalisys of Ferretti’s work: “Perché non siamo speciali” (2007).